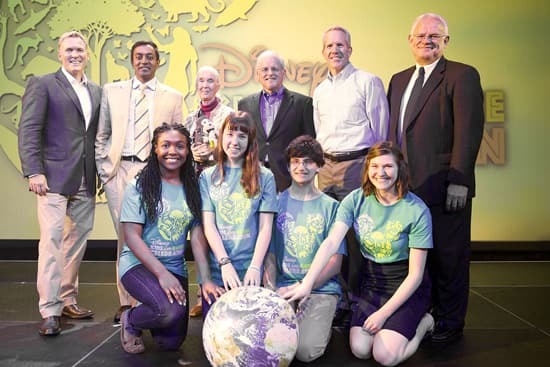 This morning at Disney’s Animal Kingdom, we were thrilled to honor at a special Disney Worldwide Conservation Fund (DWCF) awards ceremony five outstanding organizations for their work to connect kids to nature. During the ceremony, emceed by weather anchor for ABC’s “Good Morning America” Sam Champion, the DWCF honored The Children & Nature Network, Jane Goodall’s Roots & Shoots, the National Wildlife Federation, The Nature Conservancy, and Youth Service America. Each organization received a $100,000 grant to continue growing their efforts to help kids develop lifelong conservation values. Bob Iger, chairman and CEO, The Walt Disney Company, and Meg Crofton, president, Walt Disney Parks and Resorts Operations, U.S. and France, applauded the honorees. The ceremony is part of the Disney Kids and Nature Celebration, which spotlights Disney’s long-standing commitment to nature, a legacy that spans more than 60 years and began with Walt Disney himself. The celebration continues into the weekend and includes the world premiere today of “Chimpanzee,” Disneynature’s newest True Life Adventure, at Downtown Disney (in theaters nationwide starting April 20), and Disney Friends for Change events, including a youth summit and recognition ceremony for the Friends for Change in-school program Disney Planet Challenge at Epcot tomorrow. I believe my passion for the planet was sparked by my early outdoor adventures in the North Carolina mountains. I’m sure many of you have similar stories about your childhood experiences in the great outdoors. Today, we must focus on getting young people out into nature and having experiences like the ones we had growing up – it will spark their imagination and curiosity and inspire the future conservation leaders of our planet. We are doing our part at Disney to connect kids and nature through support from the Disney Worldwide Conservation Fund, through experiences in our parks and resorts, through programs like Disney Friends for Change, through films like “Chimpanzee,” and beyond. Children & Nature Network for championing the effort to draw attention to the importance of the outdoors to childrens’ health and well-being. Jane Goodall’s Roots & Shoots global program for inspiring youth leadership in 120 countries. National Wildlife Federation for their legacy programs connecting kids with the great outdoors, including Ranger Rick magazine. The Nature Conservancy for developing life-long conservation values and career influence through nature internships for underserved youth. Youth Service America for activating youth volunteers through nature conservation projects. 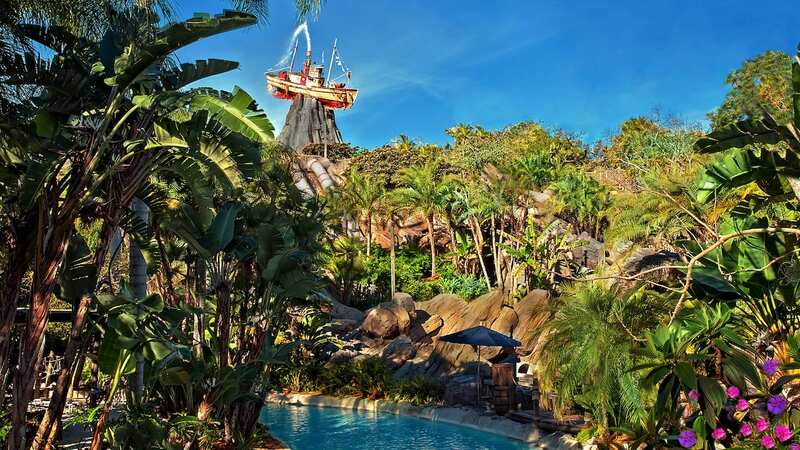 Im a huge fan, was thinking that each park should have their own form of soring disneyworld should have two, one for floida, other for world showcase. japan self detrimined, paris can do all europe. and so forth.. disney could add the sent of popcorn as it come back to the park. end at each park for each park. I am so happy to see Disney recognize Roots & Shoots for it’s excellent work! This program is a network of young people around the globe who plan and carry out projects that benefit animals, the environment and the human community. These kids are inspiring and really do change the world. Thanks again, Disney, for supporting a program that makes positive change in the world.